"Lije" Live on Sunday Night Live! Eliyahu. Elijah. "Lije." By whichever name - or performance persona you know him - Eliyahu Sidikman is more than just one of Jerusalem's most popular musical performers. 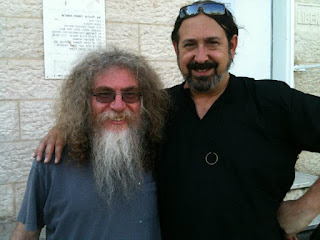 The man of many rock incarnations ("Lijah and the Firecats", David Crosby in the CSNY cover band "Long Time Gone," Jim Morrison in the Doors cover band "Crystal Ships," and now Cat Stevens in his own solo outing) will be joining Steve and Lorelai TONIGHT (Sunday March 17th) on "Sunday Night Live" 8pm Israel time (11am Pacific/12N Mountain/1pm Central/2pm Eastern) and he's bringing his own special blend of wit, wonder and - what a voice! to RFN's airwaves. He's our old and dear friend you can be sure and we can't wait to play radio with him! Listen tonight - "Lije" Live on RFN's "Sunday Night Live!" It's Thursday NIght - r we still "cooking Chometz for Shabbos? We have this Shabbos, and then next Shabbos, so...before it all gets stale, let's bring down some fresh, new vibes to help your cooking along. That's right, we're going to mix the favorites with some new stuff tonight, so you might want to just stay tuned! Now, in honor of our Chutz L'aaretz NY fans who know we start at 3PM, we thought it might just be nice to be accomodating - once in a while -- and stray from our totally Jerusalem-centric ways, and start early. So, tonight, Cooking For Shabbos will start at 9:00 PM. 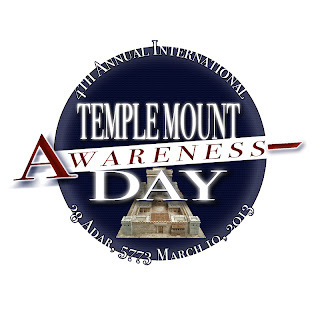 Temple Mount Awareness Day is Coming! Sunday March 10th at 6pm Israel Time! Hey RFN friends and family, it's that time again - time to raise our Holy Temple Consciousness together! For the 4th year in a row, Radio Free Nachlaot is proud to be a sponsor of / participant in the broadcast of INTERNATIONAL TEMPLE MOUNT AWARENESS DAY VIDEO WEBCAST! Help Raise Holy Temple Consciousness - Join Rabbi Chaim Richman and Yitzchak Reuven of the Temple Institute for a 3-Hour Video Webcast featuring fascinating special guests & a trip to the Temple Mount itself! Sunday March 10th from 6PM - 9PM Israel time (9am Pacific/11am Central/12N Eastern) - You'll be able to watch the Video Webcast in multiple locations on the web as well as on Facebook, and of course right here on Radio Free Nachlaot!! MIRIAM JASKIEROWICZ ARMAN, Internationally acclaimed Vocal Reconstructionist, Pedagogue, Author & Teacher of the Levitical singing techniques of the Holy Temple. Plus - we'll be visiting (via video) the Temple Mount Itself as well as the new Holy Temple Visitor's Center in Jerusalem. You'll be able to donate to the program by calling 1-800-940-9121 from the USA (or visit www.templeinstitute.org to donate online). FROM WHICH SOUNDTRACK IS THAT SONG? The truly memorable ones, the legendary ones-are the ones with a soundtrack! The soundtrack elevates the motion picture, gives it depth and soul. It gives the movie the ability to arouse us and stir up emotions and then, at the right chord it screams out. 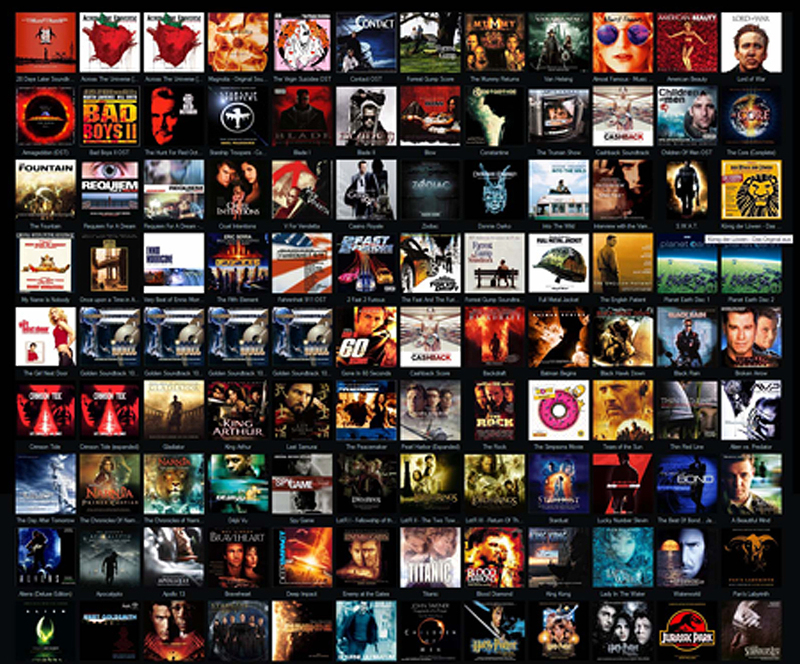 Tonight, we'll experience all that and more on our musical journey to the world of soundtracks. All the great ones will be there and so are we!!! With me-Maya, 21-23pm(Jerusalem time).